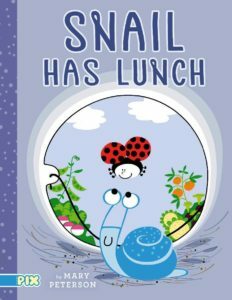 In the adorable new early chapter book called Snail Has Lunch, by Mary Peterson, a little blue snail named Snail lives in a comfy bucket that he has no intention of leaving…ever! The bucket is warm when it needs to be, cool when it’s convenient, and dry when it rains, so Snail doesn’t see any need to go outside into the world–even if the sun is shining and it’s beautiful outside. Snail’s best friend, Ladybug, feels that he’s missing out on life and tries to coax him outside every time she comes to visit. But Snail isn’t hearing it; he’s not budgeting…that is, until Farmer scoops up his bucket and dumps all its contents (including Snail) out onto the ground. Now homeless, Snail has no choice except to look around. Stretched out in rows before him is the most beautiful — and scrumptious — garden he has ever seen. In no time he begins to understand what he’s been missing. 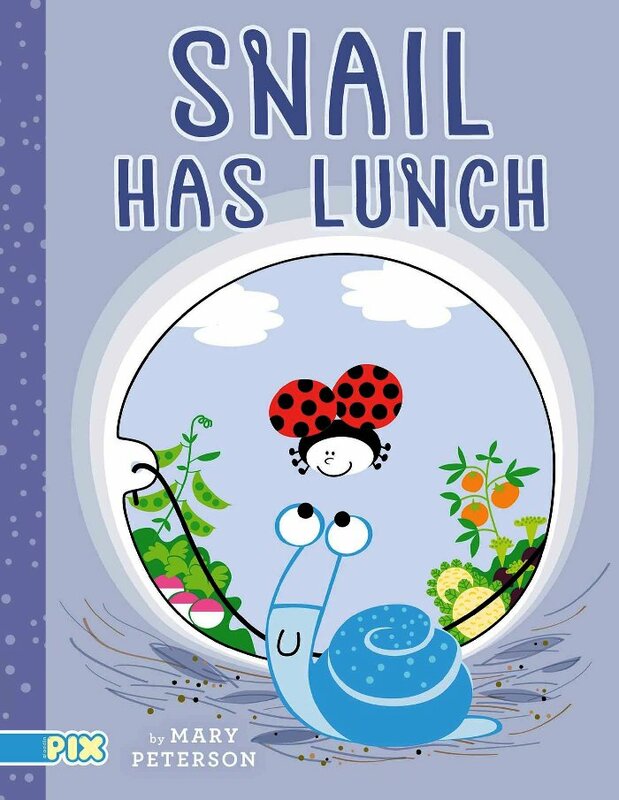 Snail Has Lunch is a delightful little book. It’s all about trying new things, learning the importance of socializing, and the thrill of stepping outside one’s comfort zone. Very young children who are attached to Mama, home, or a blankie would do well to read this book to understand that there is much more to life that just doing the same old thing. Ms. Peterson is both author and illustrator of this book, and she does an excellent job in both capacities. 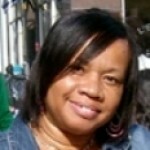 Her prose is simple, funny, and brief enough not to overwhelm emerging readers. Also, she is quite clever about inserting BIG cliff-hangers at the end of each short chapter, which is guaranteed to keep children turning pages. 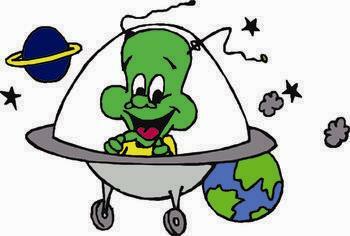 She also uses bright, beautiful colors to make the characters in this book adorable and easy-going. Rabbit, Gopher, Ladybug and Farmer are all friendly-looking and soft on the eye. Even when poor Snail bites into a fire-hot red pepper, his reaction is humorous enough to let children know that nothing really bad will happen to him! If there is one quibble, it is that this book is said to target ages 6 to 9, but the pictures seem more suitable for the pre-k to grade 1 age group. But other than this curiosity, emerging readers and the parents who read along with them should love this sweet book.